“Writing Love on Valentine's Day"
Both events at the University at Albany, 1400 Washington Avenue, Albany. 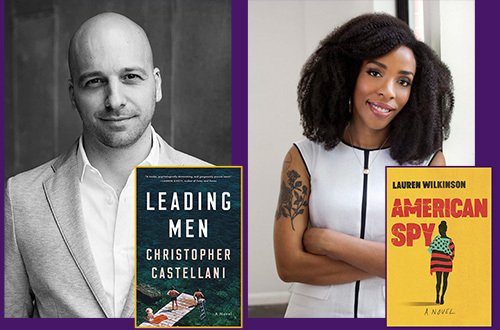 Christopher Castellani’s new novel, Leading Men (2019), is a reflection on the nature of fame, private life, and romantic entanglement set in the social world of gay 20th century icons Tennessee Williams and Truman Capote in the 1950s. Castellani is the artistic director of Boston’s GrubStreet, one of the country’s leading creative writing centers. Sponsored by the NYS Writers Institute and the University at Albany English Department in association with UAlbany’s Sexuality Month, a program of the Middle Earth Peer Assistance Program of the Center for Behavioral Health Promotion and Applied Research.